It showcases the holy cities of Haridwar, Kashi and Prayag and depicts life along the Ganges as seen by the photographer. About the Artist : Sunil Mansingh is a Haridwar based multi faceted artiste with a keen eye for everything unique and unusual. He has a penchant for seeing beauty in simple, everyday things. He has an atavistic and an umbilical connect with the Ganges bordering on reverence. 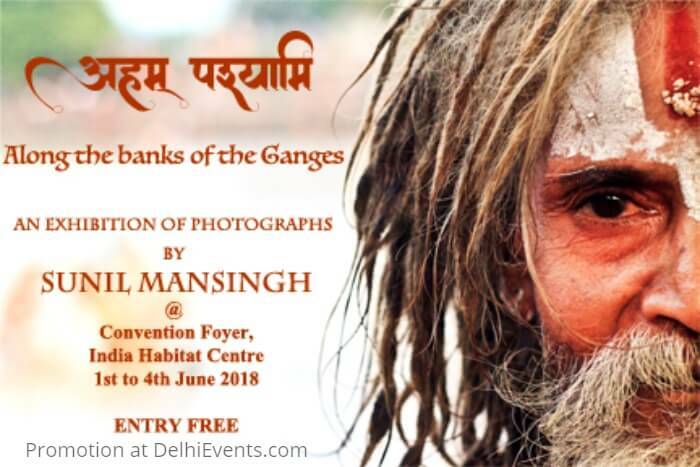 For him the Ganges is a lot more than just a river. Besides photography, Sunil is also an educationist, teacher trainer and features writer for a leading English daily.